Breeder’s Note: Kona’s journey began with being uprooted and returned to OwyheeStar. This was totally unexpected. 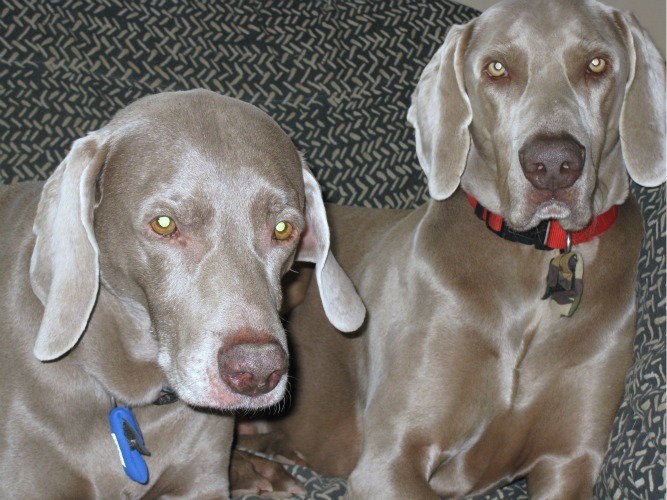 Kona previously belonged to a personal friend and a Veterinary assistant. She has worked with us and our puppies and fallen in love with the breed. She acquired Kona from us. Shortly after she took Kona home her personal life began to unravel. She and Kona escaped just in time. Kona was returned to OwyheeStar with tears. That was not the end of Kona’s journey. About that time MaryAnn contacted us. She discovered we had Kona whom adopted her as her own. We have stayed in touch over the years and we are happy to report that Kona continues to do well. Kona had a rocky start but in the big picture life is very good with MaryAnn. 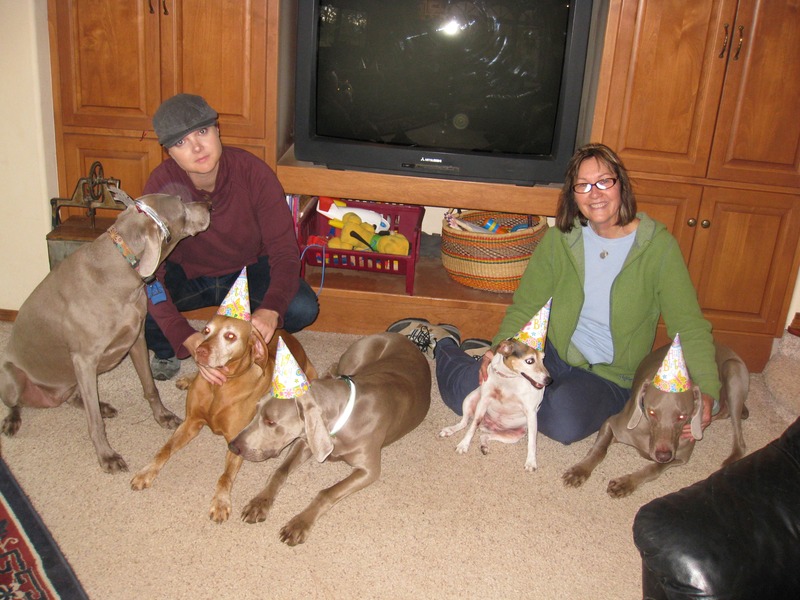 This shows 3 of your fabulous OwyheeStar weims…Grayson (Anne’s weim), Silas (aka Jubel) and Kona with Princess hat. My daughter Bethany and her Vizsla Zugo & Anne’s Jack Russell Sophie were also attendants. Hope you enjoy. 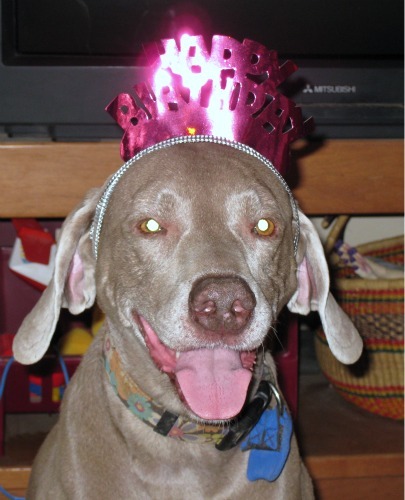 …and live to a ripe old age!